The San Jose Blog: British Airways is Coming to San Jose!!! British Airways is Coming to San Jose!!! In what can only be described as a monumental win for SJC and the city of San Jose, British Airways announced that in 2016 they will begin a nonstop flight between San Jose and London. This will be San Jose's 5th international route (Guadalajara, Cabo San Lucas, Tokyo, and Beijing are the others). It may very well be the most important route that SJC has ever landed as London is the #1 requested international destination in Silicon Valley. 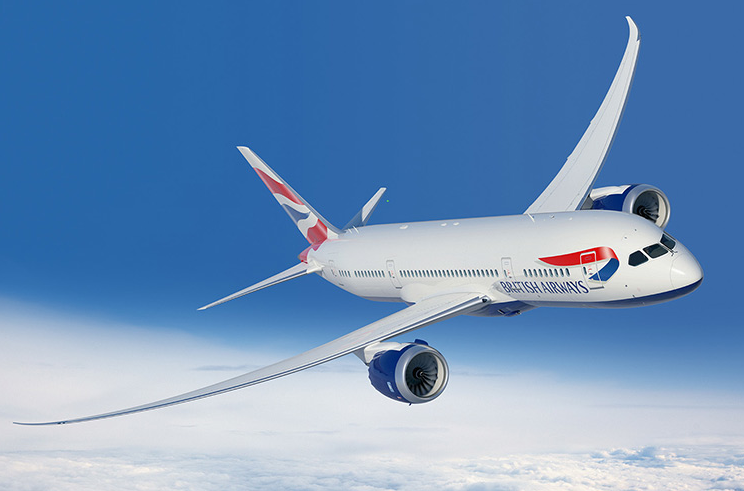 “We are thrilled to see British Airways provide direct service out of Mineta SJC Airport to London,” San Jose Silicon Valley Chamber of Commerce President & CEO Matthew Mahood said. "This is a great opportunity for both business and personal travelers to experience the benefits of flying directly out of Silicon Valley’s airport – Mineta SJC International." The flight will feature a state-of-the-art Boeing 787-900, which is 20 feet longer than the 787-800 pictured below. The plane will be the first in San Jose International's history to have four classes of service: 8 First Class "cabins," 42 Business Class seats, 39 Premium Economy, and 127 Economy seats. Those who have flown on British Airways can attest that even the cheapest seats are pretty nice compared to typical American planes, and this will be the very best plane in the British Airways fleet. This new route will give San Joseans easy access to far more than just London. The flight will land in Terminal 5, allowing in-terminal connections to 130 destinations in Europe, Africa, and Asia. I can only imagine the amount of momentum this will give our airport going forward. The first flight will land in San Jose on May 4th, 2016 at 6:05pm and depart to London at 8pm. It is expecting to be highly utilized by both business and leisure travelers. I know I'll be on one of those flights next year!